In the past decade or so, people are begging to take their culinary experiences in life a little bit more seriously. Gone are the days of the microwave-heated TV dinners. In are the days of fancy meals from cookbooks that use exotic ingredients and that taste amazing. One needs only to look at the trends that have marked kitchen design over the past several years to see that this is decidedly true. But, here’s the thing. If you and your family are going to enjoy fancy meals, shouldn’t you have a fancy room in which to enjoy them? This is why many homeowners are now turning their interior-decorating eyes toward the dining room. 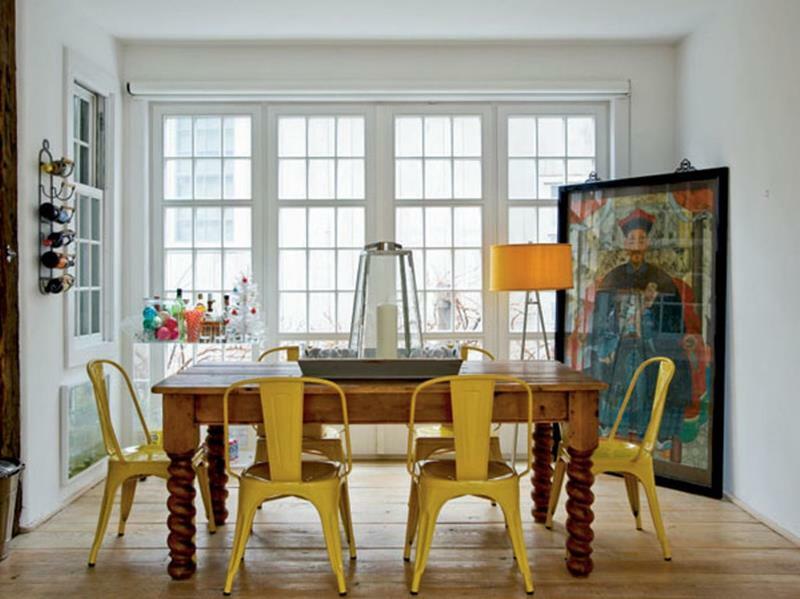 Long a disused space in the home, there’s no more cause than ever before to have a dining room that’s real stunner. Matchy-matchy is falling out of favor in all rooms of the home. That’s why you’re seeing homeowners mix disparate furniture pieces together in the dining room. Having a lot of natural light in the dining room is a beautiful thing, which is why big picture windows are decidedly “in”. 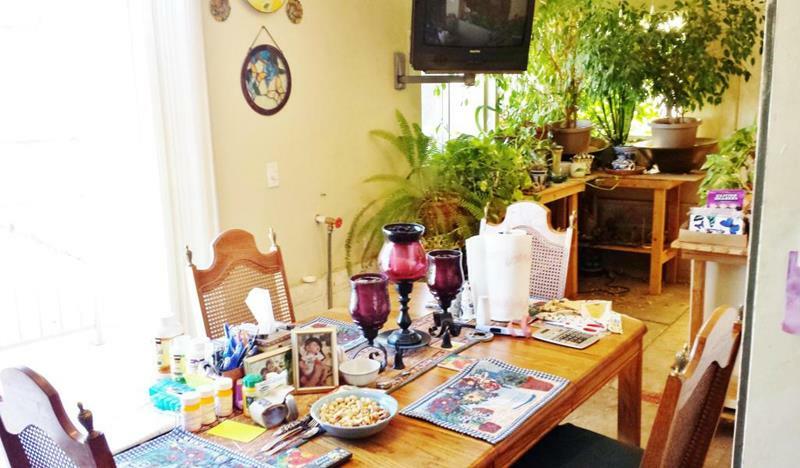 In years past, homeowners have filled their dining rooms with mementos and pictures… All of that clutter isn’t cool, though. 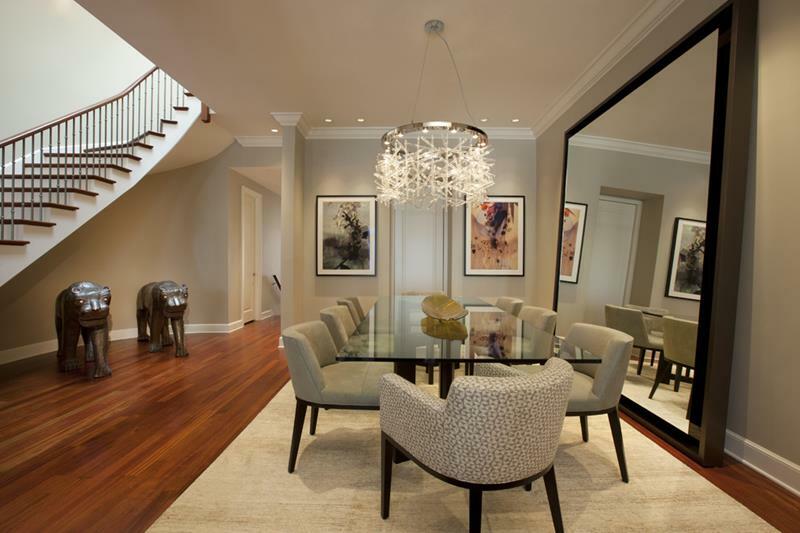 Instead, as things tilt more toward the minimal, you’re seeing homeowners add visual interest to their dining room designs by including leaning mirrors.